The Oil, Gas & Chemicals sector is facing unprecedented change in a quickly evolving digital era. Improving the customer experience has never been more critical to business success. Clients are increasingly focused on maintaining and growing their assets while simultaneously searching for cost-effective and safer ways to access, extract and sustain key resources. 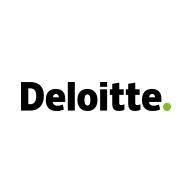 Deloitte currently serves 75% of the global Oil & Gas and Chemicals corporations on the Fortune 500 list, assisting them in facing these business challenges. Moving forward, we have launched a growth strategy to at least double our marketplace footprint over the next 3-5 years. We are committed to helping our clients work with newly empowered customers, hyper-connected digital ecosystems, and expansion in data all while collaborating with Deloitte’s Offering Portfolios.